A sweet twist on worry stones for kids! These hearts are easy to make and perfect for the first day of school. I was an anxious kid. The first day of school was always tough for me because I would have so many worries - would my teacher be nice? Would I have friends in class? Would I spill something on myself at lunch? Or trip in the hallway? You know, the back to school jitters that most kids feel. My mom was amazing at helping me deal with my childhood worries. When I went away to camp for the first time, she gave me a set of worry dolls that I still have (and use on occasion). I have a feeling that for my twins' first day of kindergarten this year, I'll have my worry dolls in my pocket until pick up time. I also thought it would be nice to give my boys something to use if they have worries on the first day of school (or anytime!). 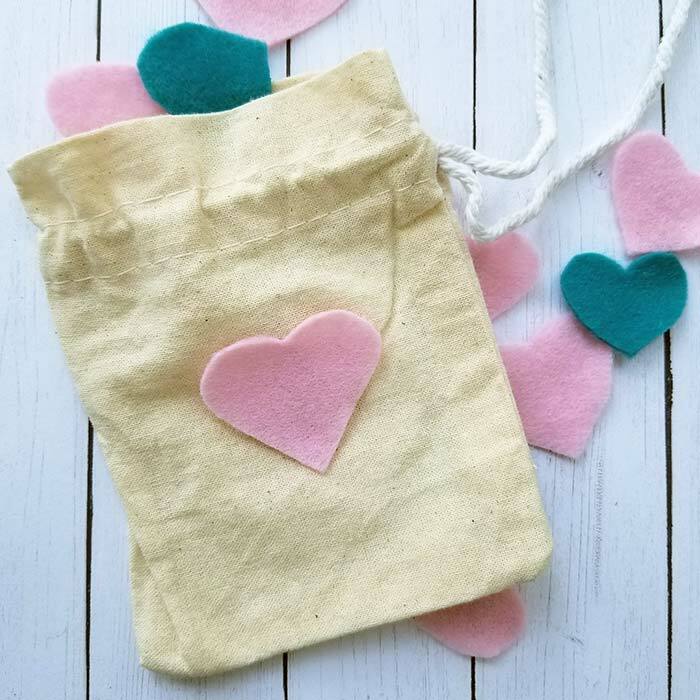 Instead of worry dolls or worry stones, I'm giving them a bag of worry hearts to remind them that I love them, no matter what. 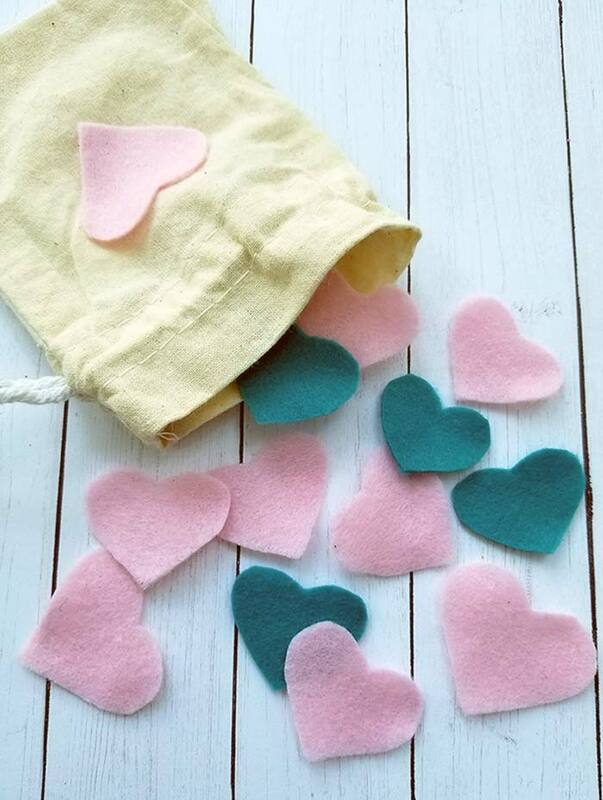 These worry hearts are super easy to make, and require just a few materials that you can find at any craft store. Here's what you need. 1. Begin by cutting out hearts from your selection of craft felt. You can use any color off felt you wish. For ours, we used light pink and blue, but feel free to use any assortment that your kids will like. 2. 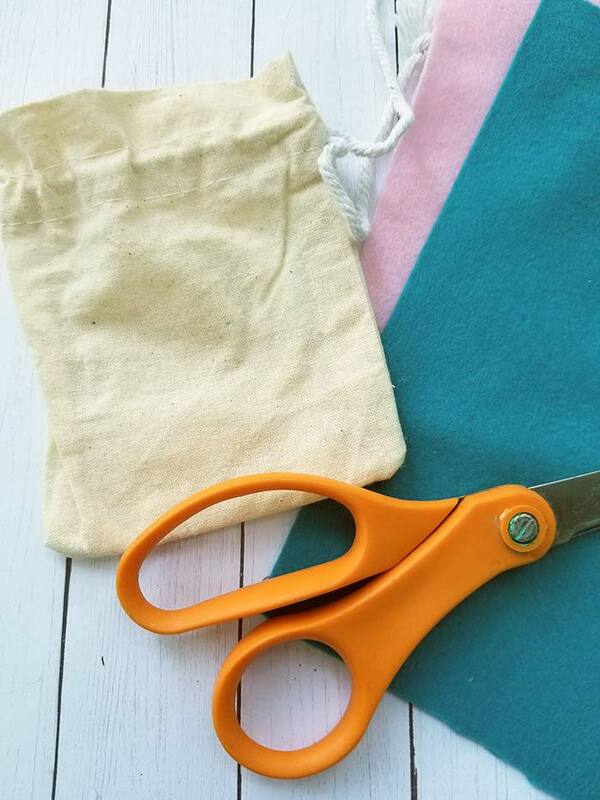 To make nice and even hearts, fold the felt in half and cut half of the design at the seam. This way when you unfold the felt piece, you will have an evenly shaped heart. Create hearts in all different sizes. 3. 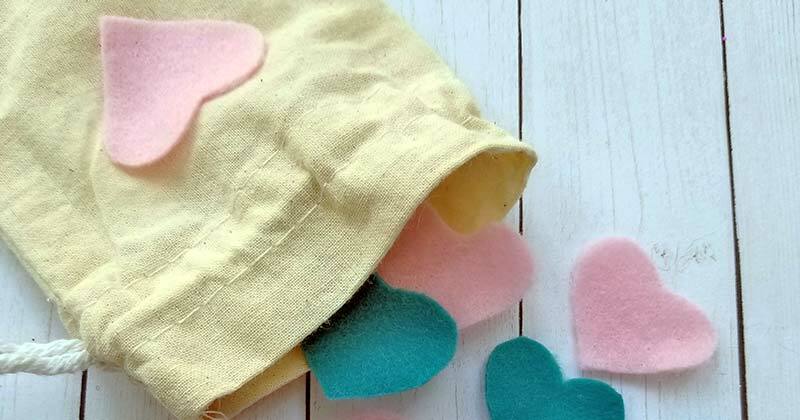 Take one of the felt hearts and add a dab of craft glue to it. Press the heart to the top of the bag. Hold in place until dry and secure. 4. 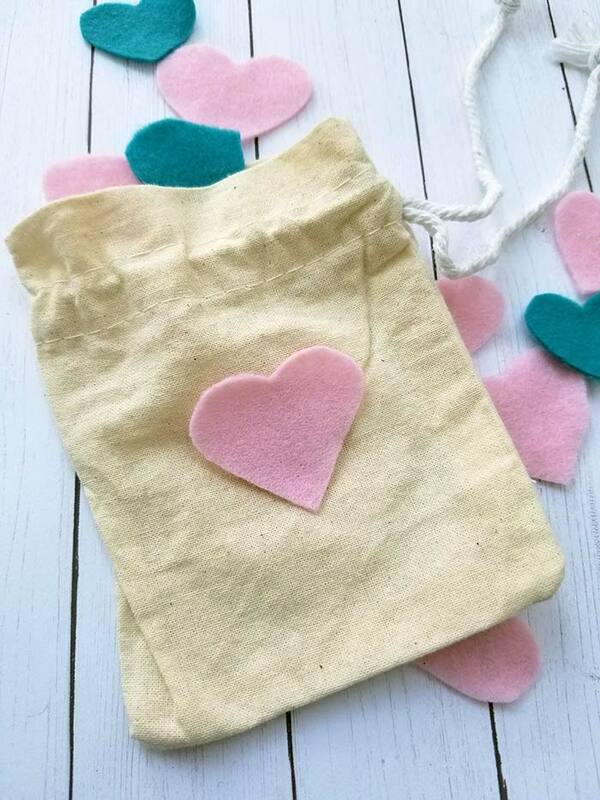 Take the remaining felt hearts and place them in the baggie. Pull it closed. That's it! Your worry hearts are now ready to go. Want another way to help kids with their worries? Try this interactive worry plaque! See more here. 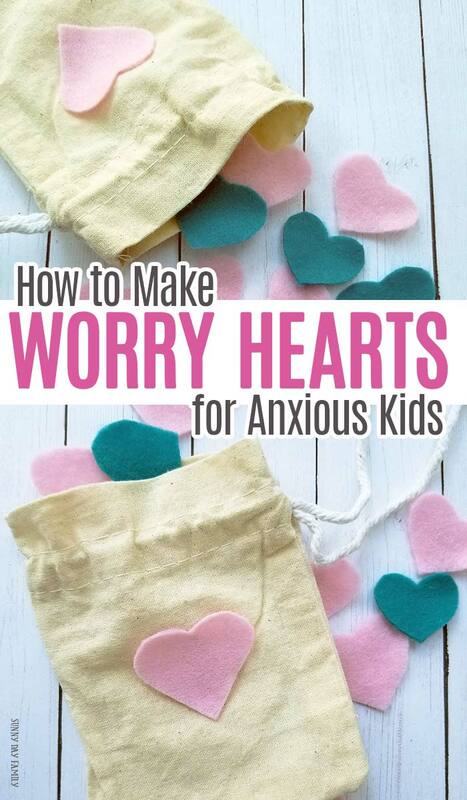 Worry hearts work just like worry dolls or worry stones. It's a tangible thing that your child can hold on to when they are nervous to help relieve their anxiety. When they need some extra encouragement, they can take a heart from the bag and either hold it in their hand or keep it in their pocket. And since these are heart shaped, it is a great way help your child feel your love even when they can’t be close to you. You can kiss each of the hearts in front of your child, so that they know each heart is special and filled with love. Or, you can fill the bag along with your child, telling them something that you love about them with each heart. Send some love to your child in their lunch box this year. 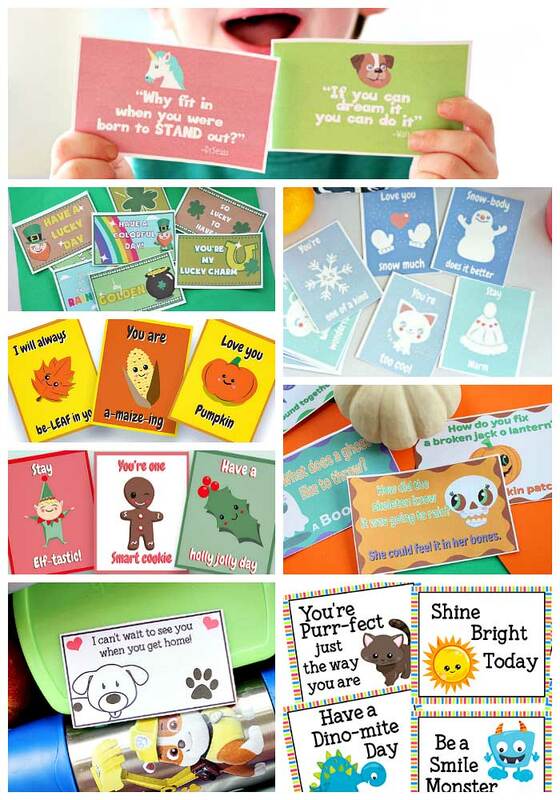 See our whole collection of printable lunch box notes here! What an awesome idea! My little one is starting Pre-K this year and I worry that he might have a hard time. I'll have to make him some worry hearts. Thanks so much for this idea!